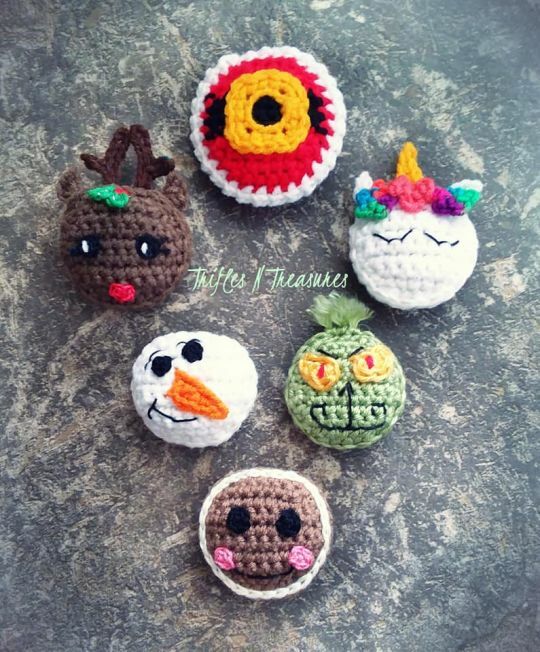 You get instructions for all 6 characters, intended as ornaments, but they also make adorable package toppers, zipper pulls, and even appliques! Whip some up for teacher gifts, too! and even that grumpy green guy! Finished models measure just 2.5" across, so grab your scrap yarns, because these are perfect to use up your leftovers!